I can't begin to tell you how excited I am about this collaboration. Eight years ago--when I started An Open Sketchbook---the blog --- Jen, Heather and I were working alongside each other in design school. 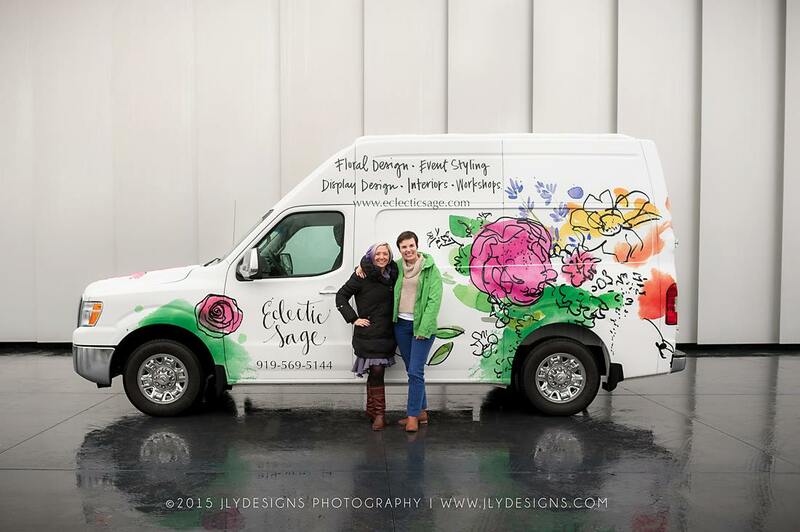 In the years since our lives have taken us in so many different directions and then, magically, in December they merged and this is the result: a flower van for Heather's business, Eclectic Sage. 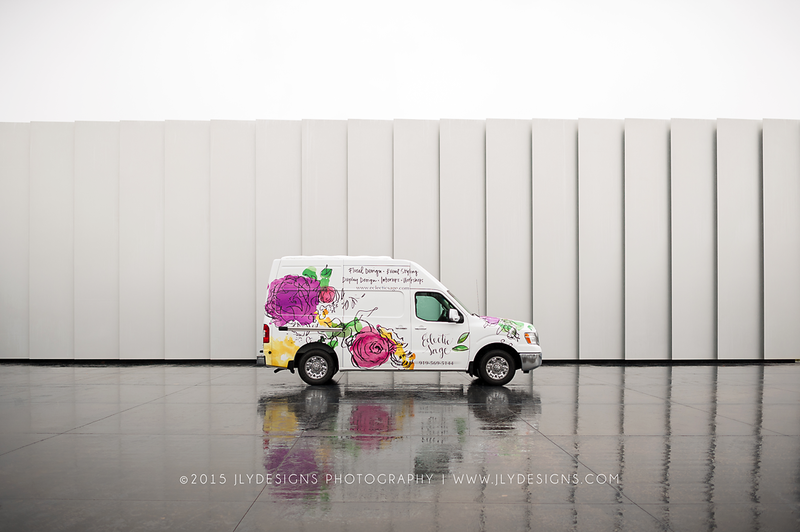 The process of covering a van with a tiny watercolor is no easy task. I am SO thankful to have had Jen take the driver's seat (pun, intended) on this. That is beautiful! 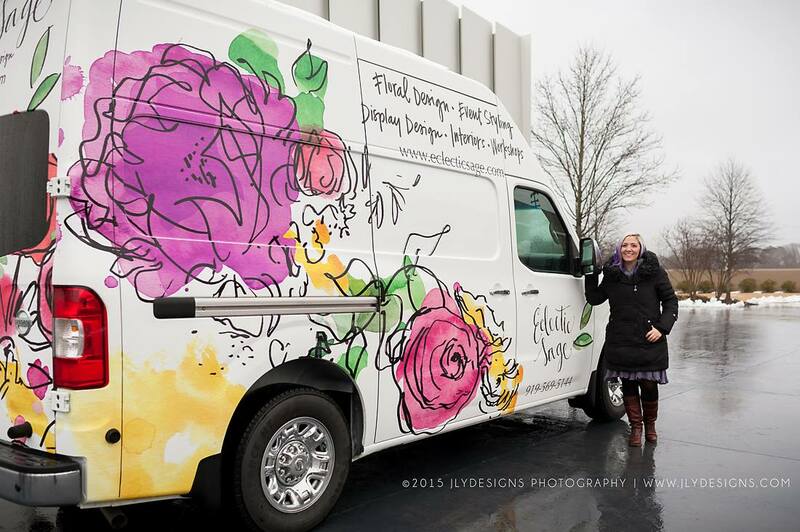 What a charge it must be to see your art driving down the road! Congratulations!!!! Does she have more smile lines, frown lines? I was on my way home when I first noticed this shop to Deliver Flowers and I bought my first bouquet from here, I knew if it is not, then it would be the closest to my dream wedding bouquet shop. A hidden gem around here! -filled aesthetic for your most special days and events; bring the senses alive with beautiful floral arrangements- sight, touch, scent and memories.